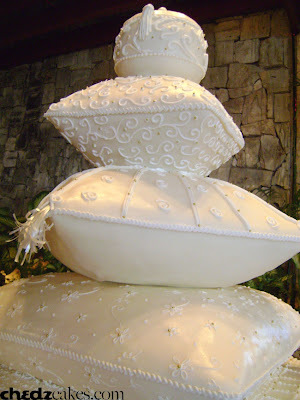 Here's our take on the widely popular "pillow cake." If it's quite familiar, you have probably seen it in magazines. This is our version. The bride, Vivien, wanted it to be simple yet elegant. 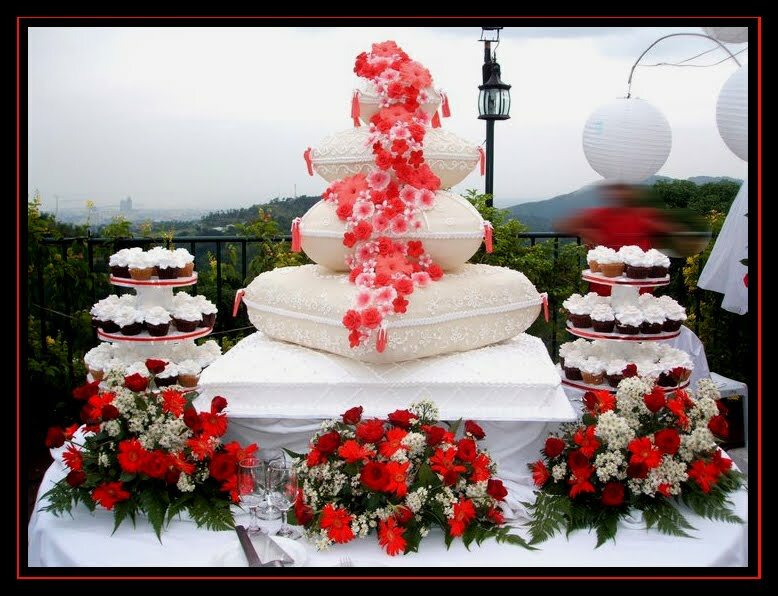 Fondant covered "pillows" with assorted embroidery and scrolls. Accented with golden dragees (candies). 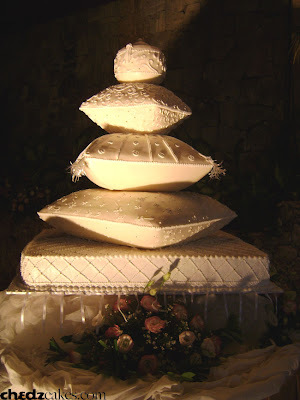 Here's another variation of the pillow wedding cake. Thanks to Josh Empic for sending us this nice picture.